At Central, we believe there are many ways to worship God. 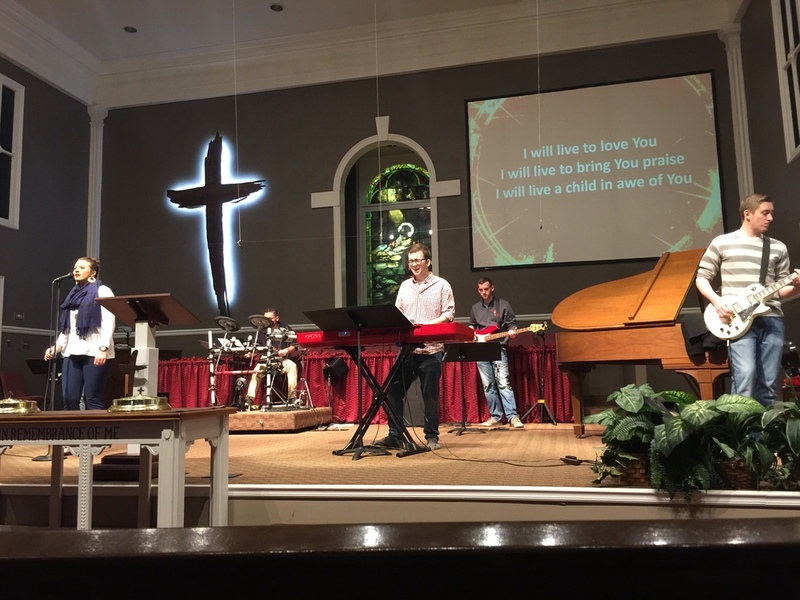 We offer two different worship services, each having a distinct style. This service has a casual atmosphere and is led by our band. People wear jeans, shorts, khakis, and t-shirts but all come with the desire to connect with God. If you prefer a more classic style, join us for our traditional service. Come just as you are; you are sure to find suits and ties, but many wear casual dress attire. In this service we have a great appreciation for traditional hymns that are foundational to the church. In addition, our choir presents many special music selections that are sure to enhance the worship experience. Whichever style you prefer, come desiring to connect with the Lord and lift your voices to praise Him. We serve communion at each service just as the Church did from the beginning. This is a time to remember Christ, His sacrifice for us, and to reflect on our own relationship with Him. We have practical sermons that are biblically based and equip believers to live out their faith day to day. We also collect an offering which we use to operate the church, support missionaries, and assist benevolent activities in the community. We don’t expect visitors to give to the offering, but feel free to do so if you wish. For more information about the Worship Ministry, you can contact our Minister of Worship and Outreach at kris@cccbristol.com.